“Give way together”… an urgent call for Christian unity! You are here: Home / Acts / “Give way together”… an urgent call for Christian unity! One is always greater than two! Don’t teach this math formula to your child in elementary school, or they will probably get held back in first grade. However, in the kingdom of God this math is always accurate. Throughout the rest of this blog, “one” refers to unity among Christians. God expects nothing but unity from his followers. This was Jesus’s fervent prayer and John 17. Jesus longs for his people to have unity with each other in the same manner that he has unity with the Father. Let that last sentence sink and for just a second. God is Father, Son, and Holy Spirit all at the same time. God is also one. Deuteronomy 6:4 doesn’t leave any room for discussion on this concept. God desires unity among his people to the same degree that he has unity within the Trinity. When God’s people show genuine Christian unity, it is both attractive and powerful. John 13:34-35 reminds us that Christian unity is so powerful that people will stand up and take notice of the way that Christians treat one other. The rest of this blog is an urgent appeal for unity in the body of Christ. Here are three critically important areas in which I believe the church must demonstrate genuine unity. Judges is one of the most tragic books in the Bible. This cycle of sin and punishment and deliverance and redemption appears repeatedly in this record of early Israel. Judges 21:25 tells you where this repeated cycle of sin began. It was both because of a lack of leadership (there was no king in Israel) and because the people did whatever they thought was right in their own eyes. God’s plan for his church is that it would be an unstoppable force on planet earth. In order for that to happen, people must have hearts that are synchronized with one another. Acts 2:42 describes what it looked like when the entire church shared one heart. Their Christian unity was so powerful that Acts 2:43 says it caused people to stand in are of what they were seeing from God’s people. When God’s people are united in heart, they complement one another. There is no limit to what they can accomplish (Gen 11:6). However, when hearts are not united together, people start to compete with each other. It’s time for churches to stop competing with one another and start complementing one another! It’s time for Christians to stop competing within the church and start complementing one another! 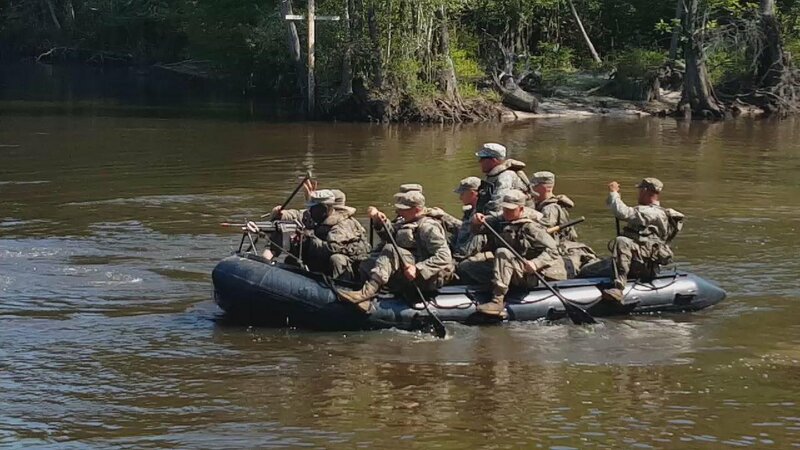 While serving as a Sergeant in the Army, I learned to patrol through intercoastal waterways, rivers and lakes using small, inflatable boats. These boats were designed to infiltrate using stealth techniques along the water. Rangers learned to paddle through difficult waters with total silence. This was no small endeavor. It required great coordination in order for everyone to paddle this boat with stealth and skill. These boat teams learned how to paddle well because they knew their lives depended on it! These small rubber boats were commanded by patrol leaders called coxswains. A boat’s efficiency was largely determined by the coxswain’s ability to synchronize the efforts of everyone on that boat. The most important coxswain command was, “Give way together”. The reason this command was so important is if one side of the boat paddled harder than the other the boat would travel in a long, slow arc. The command was also important because if someone on the boat didn’t paddle at the same time or in the same direction as others, the boat could literally turn circles in the water and get nowhere. All the members of that boat team had to learn how to put their paddles in the water and pull together in coordinated effort. I long to see Jesus’s church give way together! A small rubber boat can move great distances when those onboard are growing together with common purpose and a common heart! This is what military tacticians refer to as unity of effort. Unity of effort often determines the outcome of a battle. Entire wars are won and lost through unity of effort. God has established an unstoppable force for good on planet earth. That force is his church. His church must have unity of effort if they are going to complete the Great Commission. Let me show you one last example of this from the Bible. In Acts 4:32 there are two very important phrases that describe real Christian unity. The first phrase is, the entire group. Keep in mind that this phrase refers to the entire church at this point. This is after thousands of people from many different nations have come to faith through the witness of Jesus and his followers. In other words, this is a very diverse group to which Acts 4:32 is referring, which makes the second phrase all the more stunning- because this same verse also says that they were of one heart and mind! Don’t miss the significance of this statement. People from different nations, speaking different languages, all heard the same message and their lives were transformed. They were so transformed that they shared one heart and mind! How is this kind of Christian unity possible? If you long for Christian unity like I long for Christian unity, you probably ask yourself,how do we make this kind of math possible again in the Christian church today? I believe Acts 4:32 unity is only possible when God’s people are unified behind the Gospel! My prayer is that God would give his people one heart and one mind for the advancement of the Gospel. I believe the world is looking for this from Jesus’s church!